Beychief Rum Ball. 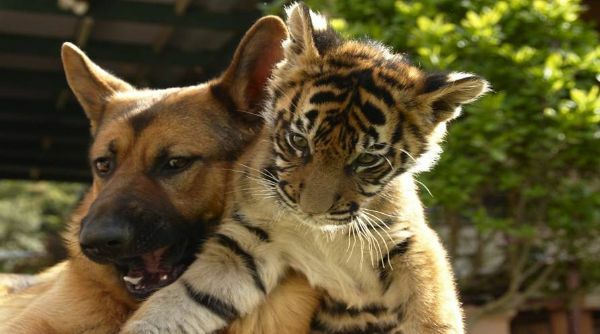 Known as Rumble, this German Shepherd "adopted" Kinwah the tiger cub as a younger brother when the Tiger had to be hand raised by Sally Padey, owner of Mogo Zoo, NSW. The pair gained international stardom.